We are a leading Manufacturer of jatropha seeds dehulling system, neem seeds dehulling machine and sunflower dehulling machine from Vadodara, India. 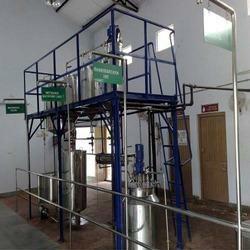 Jatropha Seeds Dehulling System for Bio Diesel Production. Goldin Impact Hullers provide efficient, through hulling of seeds for further separation of Hulls and Meats. Neem Seeds Dehulling Machine offered is made available by us in a variety of operational sizes, plates as well as frame type options so as to best match with the specific processing demands of the customers. As these are designed and developed using high-grade cast iron casting, we are also able to assure in these qualitative and durable finish values. We can make these available in different model options with standard strengths of the machines including durable finish quality, easy maintenance, high usage efficiency and high-performance support in defined seed de-hulling applications. 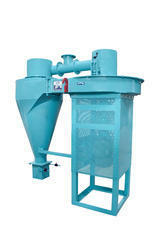 Most Modern Sunflower Dehulling Machine for Sunflower Seeds. Sunflower seeds contains about 20 to 25 % max. hulls. The hulls doesn't contain oil and rather obstructs the oil extraction / expression from the kernel inside. The function of the machine is to dehull the Sunflower seeds and separation of Meat and Hulls. This will help in efficient expelling of Oil from the Sunflower seeds and also increase the capacity of processing unit. The III deck type Fines Grader having 3 decks. It removes Unhulled seeds on 1st Deck out let, the mixture of Big Kernels + Hulls discharge on 2nd deck out let, the mixture of Broken kernels + Small Hulls discharge on 3rd out let and fines discharge through bottom out let of 3rd deck. Unhulled seeds are reefed to Impact Hullers through a suitable conveying system.